Generally, the best candidate for plastic surgery is the patient with realistic expectations. Plastic surgery- Hollywood starlets, false identities, new beginnings, new faces. Modern medicine can work a variety of wonders, but to the patient, “her mind-set and expectations” are still the most important players. The term “plastic surgery” covers both cosmetic and reconstructive surgery and the procedures that fall under them. Most cosmetic procedures are considered elective surgery, something the patient has decided to pursuer for her own reasons, and are therefore not covered by insurance. Cosmetic surgery is performed on a healthy patient to enhance her looks or image and some of the most common cosmetic surgeries are procedures to improve body contours or for rejuvenation: procedures such as liposuction, eyelid surgery, face lift, rhinoplasty, breast augmentations and breast reductions. Although the latter can fall into the realm of reconstructive surgery if breast size is considered a medical problem. Reconstructive surgery, in comparison, is performed to return a patient to a normal state after some sort of trauma, whether from a medical procedure, an illness such as cancer, or an accident. A variety of reconstructive surgeries are covered by insurance, although not always easily. Patients recovering from a mastectomy, for example, would have their reconstructive surgery covered by insurance; whereas, a patient with scarring from an automobile accident would probably have to fight to have her procedures covered unless the scarring caused considerable functional problems. “I think discussion of psychological effects should center on expectations, and really a very common problem in this business is expectations are beyond what realistically can be accomplished, and at time, can result in disappointment with the surgery,” says Dr. Stephen Grace, MD, F.A.C.S. Generally, the best candidate for plastic surgery is the patient with realistic expectations who has made the decision on his/her own to have a procedure done to correct a problem that has annoyed him/her or made him/her feel unattractive. He/She has a supportive circle of family and friends and he/she seeks surgery to correct something relatively subtle that has bothered him/her for years. He/She is interested in making an improvement and “improvement” is the key word, stresses Dr. Grace. Plastic surgery can make things better, not change them 100%. Whether a patient is a good candidate for surgery depends on his/her motivations for seeking surgery in the first place. Red flags go up for surgeons when a patient presents unrealistic goals for surgery-a patient looking to keep a job or stop an ailing marriage from falling apart, for example. Those people are going to be less satisfied and content about the results because it’s an external motivation, says Dr. Stephen D. Keefe, MD. If they don’t receive external confirmation and affirmation, they’re going to feel like they were manipulated into having the procedure. A hard sell from a surgeon can lead to an unhappy patient. The feeling that the procedure has to be done right away, that there’s no time to think about it, can leave a patient dissatisfied, even if the timeline is imposed by a medical condition. A patient facing a mastectomy may need to make a quick decision regarding reconstructive surgery. The difference between expectation and reality has a lot to do with a patient’s satisfaction with a procedure. People facing plastic surgery that are good candidates, but have unrealistic expectations, will likely be unhappy with the results. Patients who aren’t necessarily good candidates for surgery but have a positive outlook are much more likely to be happy with the results. Dr. Grace points to studies on reconstructive surgery that take into account the degree of concern versus the degree of deformity. Patients with great concern about their looks but with very little actual deformity are far more likely to be dissatisfied patients than those with a great deal of deformity, but less concern about their appearance. The latter will be happy with any improvements made. The former have focused tremendous concern on a problem their friends and family may not even see. An “improvement” won’t be enough for them. And sometimes a doctor simply has to tell a patients no. Someone who’s not happy, who’s obviously depressed, isn’t going to come out of surgery a satisfied patient. But it’s more than simple satisfaction. People who expect surgery to change their lives are in for a let down. Dr. Anson has had patients that she has suggested seek counseling rather that surgery. “Sometimes it’s a delicate walk for us,” she says. “I’ve seen a range of reactions but the most common is that people are open to counseling. If they’re that unhappy, chances are this isn’t the first time they’ve realized that. But it’s my obligation not to operate on someone who’s a poor candidate for surgery. In the old days, they went home and thought about it, but in this day and age there are so many surgeons who have made this a business that if you have the money you will get it done somewhere,” says Dr. Grace. The patient with unrealistic expectations who receives the surgery anyway stands a good chance of being an unsatisfied patient. It can lead to litigation. It can even lead to murder in this country, says Dr. Grace, from a surgeon shot and killed in Chicago because someone picked her out of a phone book and claimed he was changing Jewish noses into Aryan noses, to the surgeon killed in Seattle by a patient who walked in and shot him because he wasn’t happy with the results of his surgery. There’s a definite difference between men and women when it comes to plastic surgery. When male and female patients are contrasted, women seem to do better accepting the changes brought about by the surgery, possibly because women are accustomed to changing their image for daily activities and special occasions or from day to evening events, suggests Dr. Keefe. “So, when it comes to undergoing a surgical process they are less traumatized after the procedure has been done than a man would be,” says Dr. Keefe. Dr. Grace sees another side, finding men easier to work with in cosmetic procedures. They seem to do it and move on, he says, and a man receiving a face lift is apt to have a more favorable outcome and need less time and support in recovering than a woman . It’s a generalization, he says, but most of the time men come though the procedure and recovery easier than women. A different mind set is presented to the surgeon in the case of reconstructive surgery. These patients have experienced a trauma, either from an accident or life threatening illness, such as cancer, which has left behind some kind of deformity. Cancer and the resulting surgeries, especially cancer involving the head and the neck, can be very deforming, says Dr. Anson. And that’s very difficult for patients to deal with because they’ve gone from normal to dealing with a health crisis and the aftermath of that. Reconstructive surgery is a positive act, although it probably won’t return the patient to the same physical state they were before. “Breast reconstruction for cancer tends to give the patient more of a sense of normalcy in that they can look normal in clothes, not be constantly reminded of the cancer if they have to wear prosthesis,” says Dr. Alexander. Looking normal for these patients is a step toward feeling normal again. For women who have undergone mastectomies, it may mean having clothes fit right again. It may mean reducing scars for other patients, or rebuilding facial bones after an automobile accident. The most satisfied reconstructive patient is the one who has been informed by her surgeon what procedures will be performed and what results can be expected. The patient in that case will be more forgiving of the results, says Dr. Keefe, which is not to say the surgery is inappropriate, but that the patient will be more apt to understand the limits available, the results attainable and the possible scarring that may result from the procedure undertaken to fix the trauma. 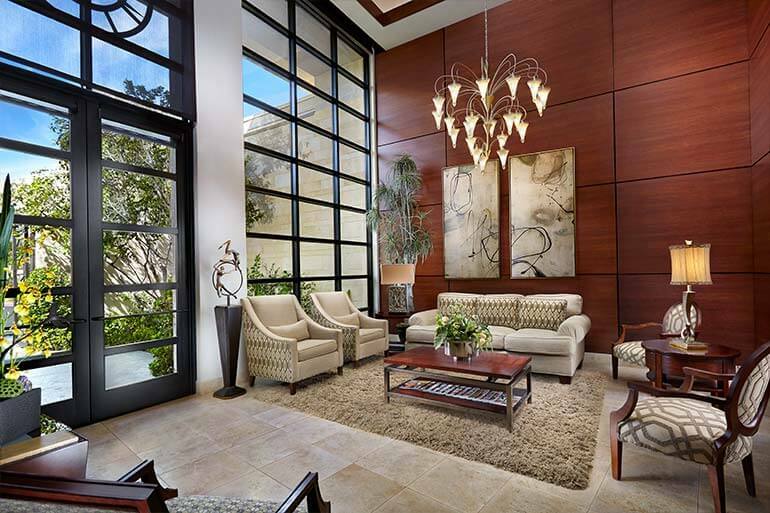 ASPS American Society of Plastic Surgeons-society of board certified plastic surgeons www.plasticsurgery.org. Provides articles, FAQs, statistics, links, and a search for plastic surgeons by region. 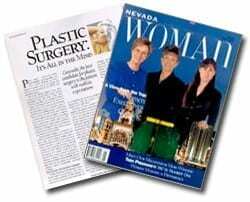 Read the full article in Nevada Woman (May/June 2000) here.